Wildland Fire is an umbrella term encompassing prescribed fire and wildfire. 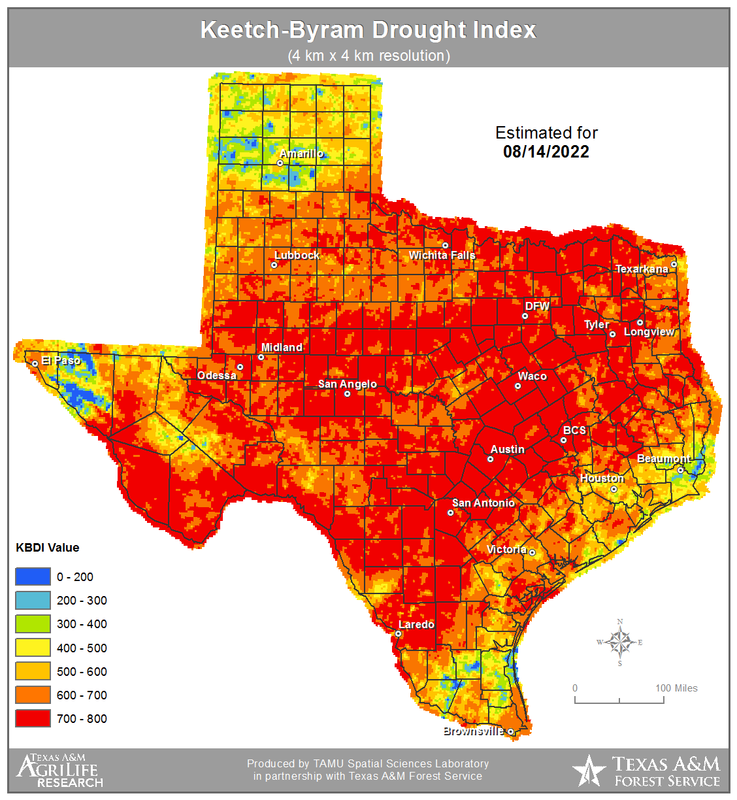 Wildland Fire is a natural element of both grassland and forest ecology and historically occurred across the state of Texas. Historically, wildland fires occurred naturally and were critical in regulating both animal and plant communities. A lack of fire over the last century has led to an imbalance in fire adapted plant and animal communities and an increase in extreme wildfires. 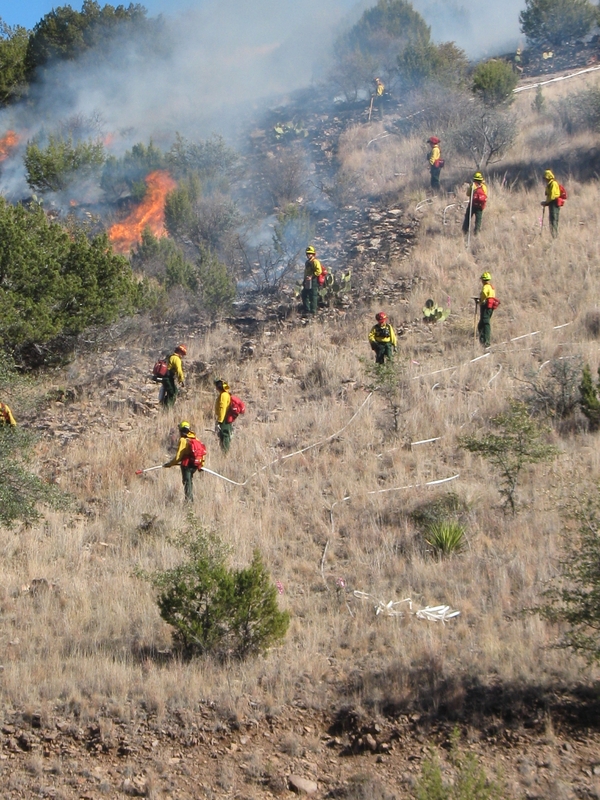 A key to reclaiming and restoring fire adapted ecosystems while also reducing the risk of extreme wildfires is TPWD’s focus on implementing prescribed burning. 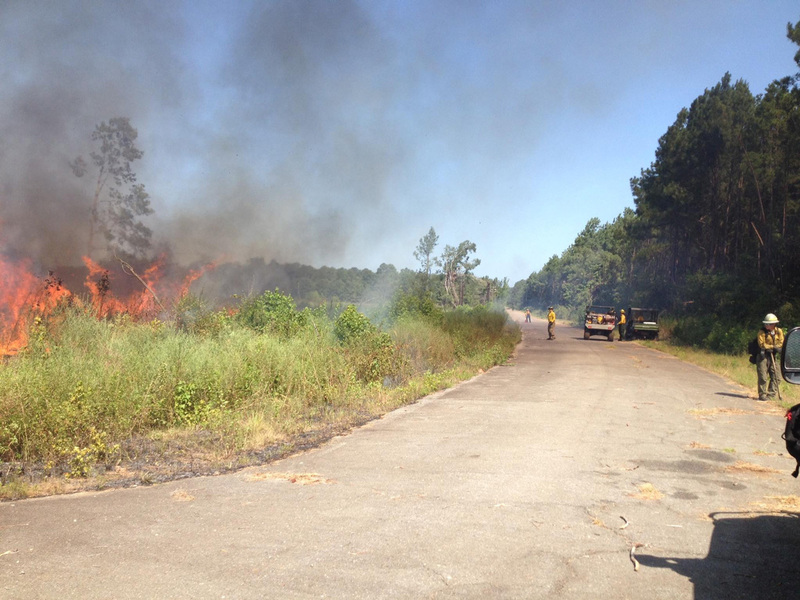 Why Conduct a Prescribed Burn? 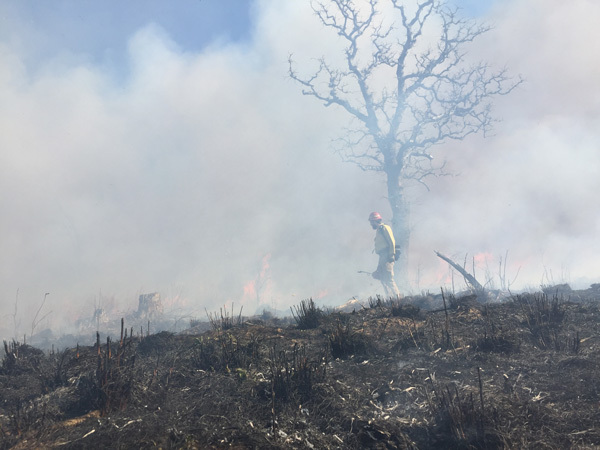 Prescribed burns are carried out to reduce fuel loads (existing dead and dormant vegetation) and reduce the threat and severity from wildfires should one occur. 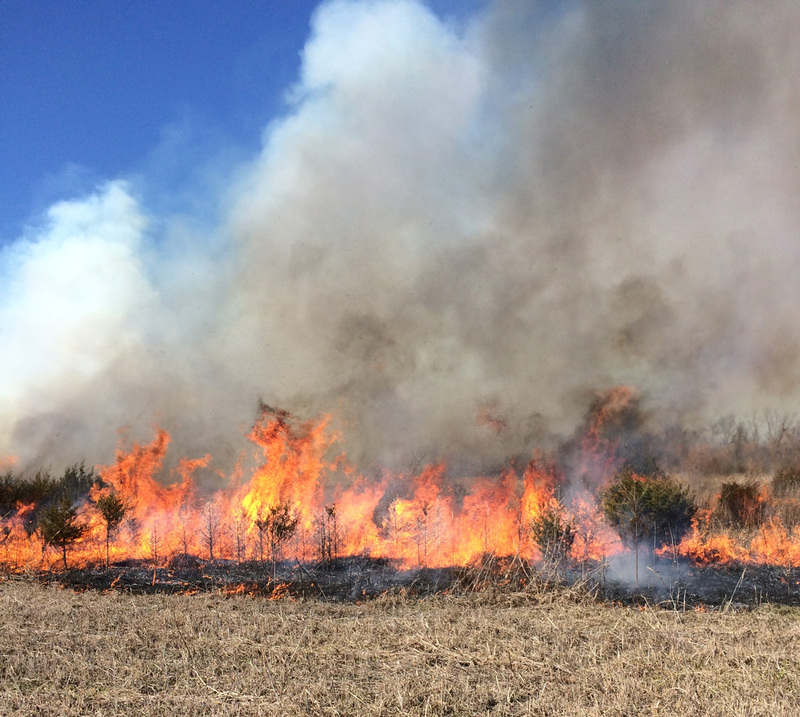 Prescribed burns also reduce woody plant encroachment and are beneficial for many native plant species in a way mechanical and chemical management treatments cannot duplicate. Wildlife, both game and nongame species, also benefit from prescribed burning which results in new plant growth and restoration of habitats which they utilize for food and cover. 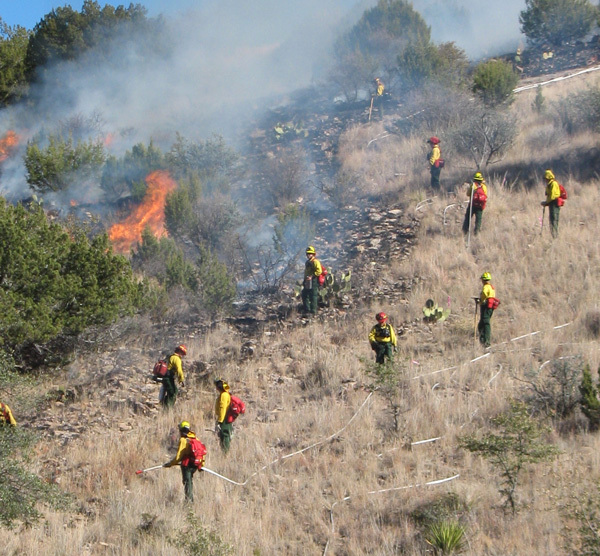 Prescribed fires by the Texas Parks and Wildlife Department are carefully planned events conducted by a specially trained and skilled crew. 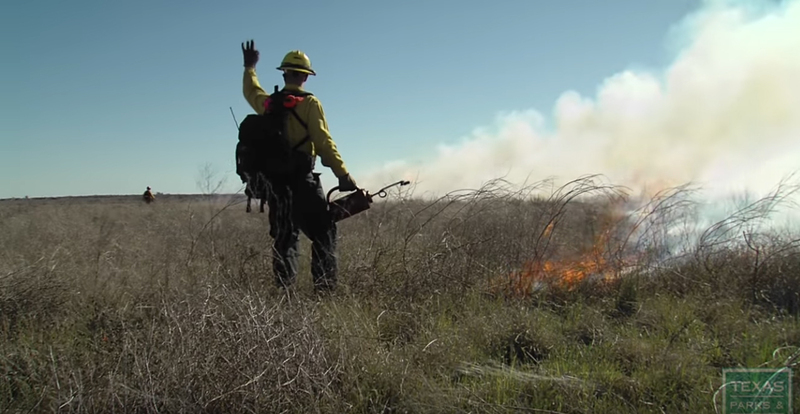 From the burn boss to the grunt and the engine to the drip torch, see what and who it takes to safely put on a prescribed fire. 2011 was as bad as it can get when it comes to wildfires. From Bastrop to Possum Kingdom, the Texas Parks and Wildlife Fire Team answered the call. Prescribed fire takes everyone working together - first responders, local and state officials, and landowners - to keep our landscapes healthy and our citizens and communities safe. Ignition at Atlanta State Park. Mopup at the Matador WMA. Site Prep at Caddo NWR. How Are Prescribed Burns Conducted? Prescribed burns are carefully planned events. Prescribed burns by the department are conducted by a specially trained and skilled crew, experienced in fire management operations. Safety is emphasized in all phases. First, prescribed burn plans are prepared that establish the objectives of the prescribed burn and outline the safety measures that will be in place before a prescribed burn can take place. Second, fire breaks are installed where natural or manmade fire breaks (i.e. roads) do not already exist. Prescribed fires are then carried out once weather and fuel conditions, as well as fire equipment and personnel criteria outlined in the burn plan are present on site. Prescribed burns on department land are carried out using various ignition techniques allowing for controlled and precise application of fire to vegetation. 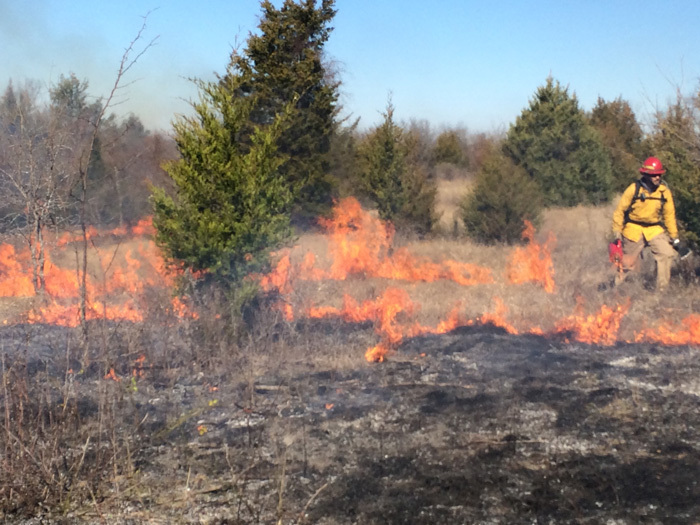 After the prescribed burn takes place, burn units are monitored by department staff until the fire is out. 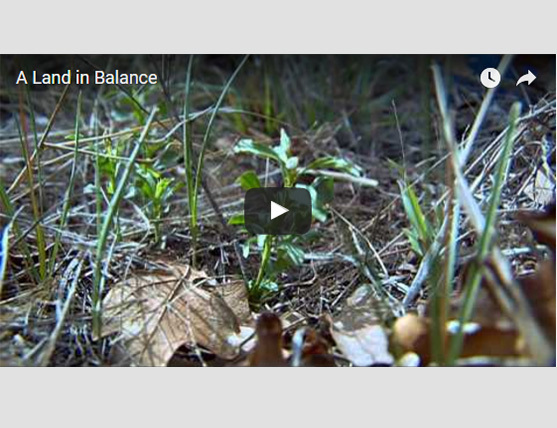 What Can Landowners Do to Decrease the Threat of Wildfire on Their Property? Landowners interested in what they can do to increase the safety of their property from the threat of wildfire at any time of year are encouraged to visit the websites below to learn more about local and national programs to aid you in keeping your property safe from the threat of wildfire. Texas Parks and Wildlife Department (TPWD) is the principal State agency responsible for conserving, protecting and enhancing fish, wildlife and plants and their habitats for the continuing benefit of the residents and visitors of Texas. Fire is essential to managing the majority of the Department’s 1.4 million acres, which includes 52 Wildlife Management Areas and 94 State Parks across the State. 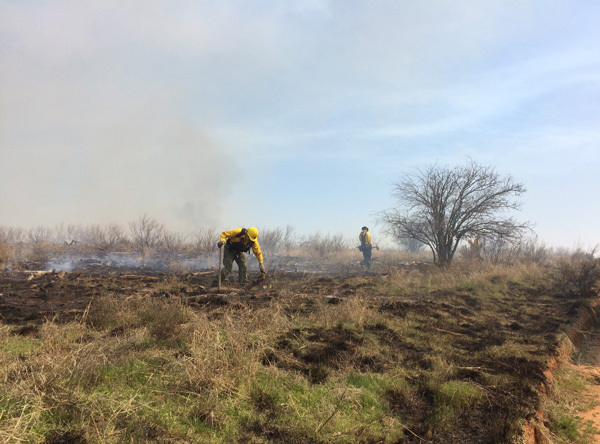 TPWD Wildland Fire Management is currently administered under the Divisions of Wildlife and State Parks, and protects and manages burnable acres on all Department lands. The Department also provides education and training to private landowners on the implementation of prescribed fire through the Department’s Technical Guidance program. 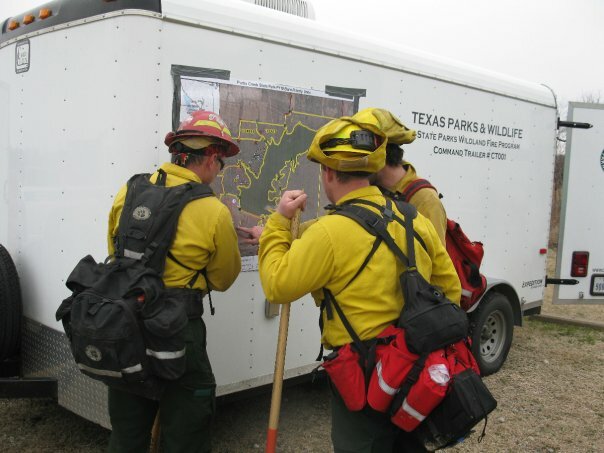 Additionally, TPWD Wildland Fire Management provides mutual aid to other federal, state and local fire management agencies through cooperating agreements and alignment with the National Wildfire Coordinating Group, a consortium of federal and state fire managers that determines national standards for wildland fire training and operations. The Department’s team of fire management professionals have significant expertise not only in fire planning and operations, but in a range of scientific and technical areas, including fire science and ecology, smoke management, wildlife biology, forestry, and range conservation. 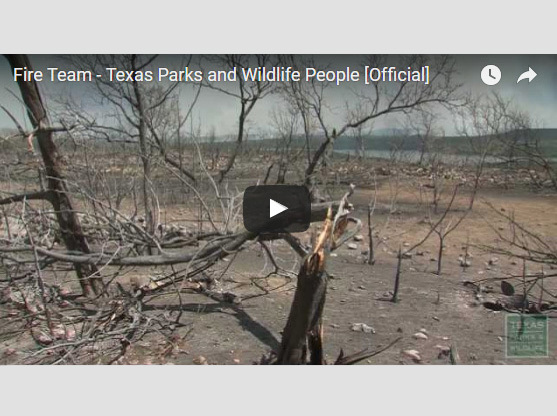 Texas Parks and Wildlife Department manages fire to conserve, protect, and enhance fish, wildlife, and plants, and their habitats while protecting Department facilities and surrounding communities. Fire management is integrated into the Department’s land management program. The Department’s Wildland Fire Management activities include; prescribed burning, mechanical fuels treatment, wildfire management, and wildfire prevention. This involves technical expertise in prescribed fire and suppression tactics, fire science and ecology, and public outreach and education. Wildland fire management involves the incorporation of multiple objectives through dynamic strategies, contingent upon conditions and resource objectives outlined within the fire management plan for a specific property. Restoring and maintaining all Department lands in desirable condition through the utilization of prescribed burning is the most cost-effective and ecologically beneficial long-term fire management strategy. It reduces fire risk by reducing decades of accumulated hazardous fuels to maximize long-term protection to surrounding communities. Prescribed burning minimizes the costs of fire suppression and emergency rehabilitation of lands damaged by catastrophic wildfire and maximizes available resources for fire suppression on other federal, tribal, state, and private lands. Line holding with hose lay. How do you plan for a burn? 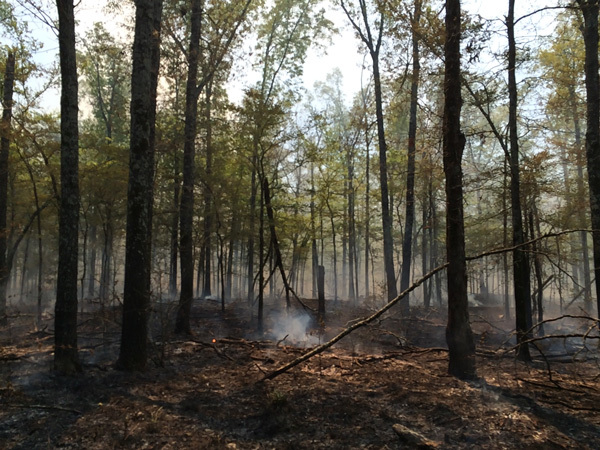 What information goes into a prescribed fire plan? Developing measurable objectives that the fire should accomplish within the burn unit. Developing an appropriate fire prescription (season, weather parameters, fire intensity, etc.) and methodology. Cooperating and coordinating with adjacent landowners, municipalities, and other state and federal agencies. Compiling all planning information into a site specific burn plan including implementation, monitoring, and contingency plans. Organizing a crew and equipment to conduct the prescribed fire. This prescribed fire plan is then used to conduct the prescribed fire. 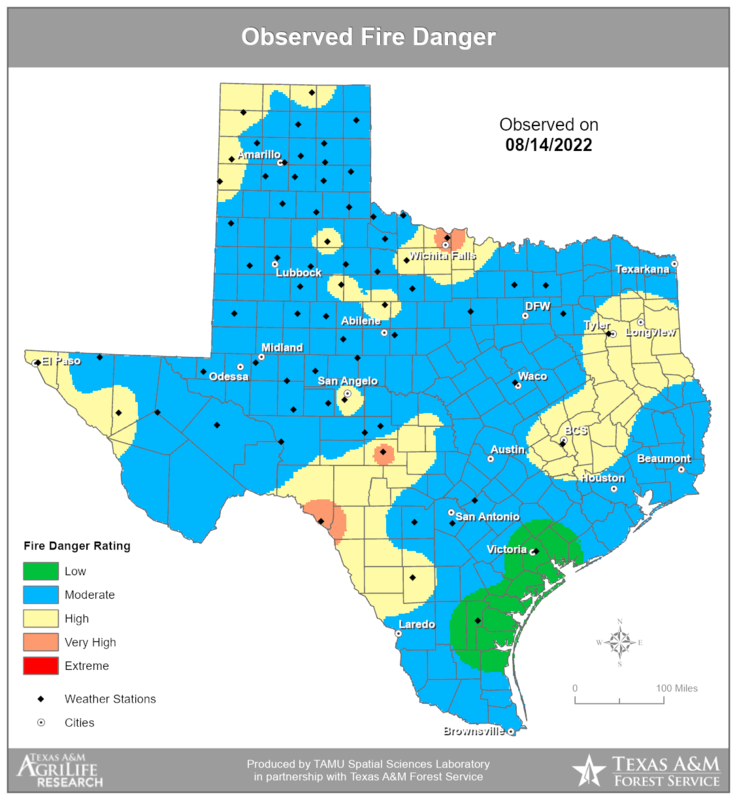 TPWD utilizes a nationally recognized 21 element prescribed fire plan for state properties and has produced a similar plan to be utilized by private landowners. 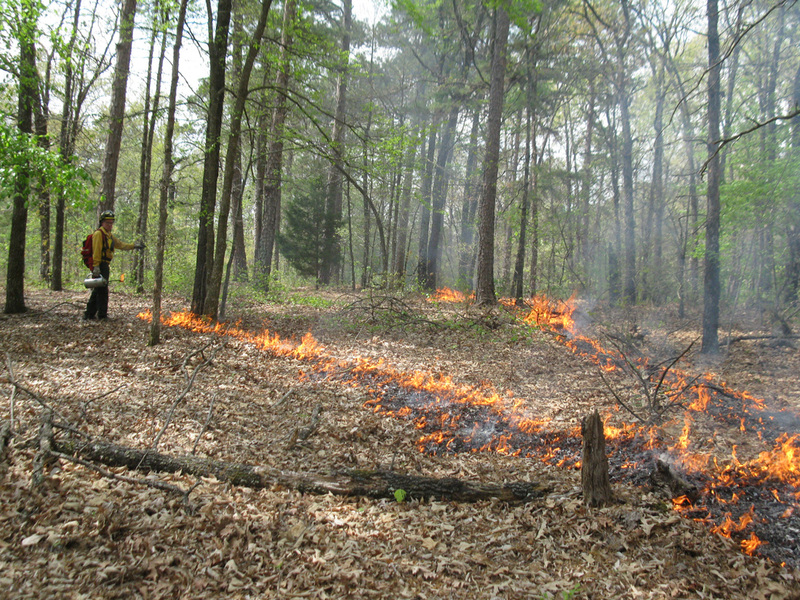 See the Resources section above for a copy of the Private Lands Prescribed Fire Plan. What do you want the Park/WMA to look like in the future? How do you know what a Park/WMA SHOULD look like? Natural resource managers analyze soil types, topography, historical accounts and similar remnant vegetation types elsewhere in the immediate vicinity to reconstruct a picture of the historical landscape. Early accounts by Texas explorers and settlers are very useful during this process. These accounts give managers clues about the Texas landscape prior to extensive settlement and habitat alteration. Furthermore, ecological studies on habitat succession, biological diversity, and wildlife habitat requirements support the idea that much of our current landscape is unnatural and highly altered by man and removal of fire from the landscape. Our goal is to restore and/or maintain natural landscapes that support healthy populations of native plants and animals. It is important to note that this is a long-term process that is not achieved with a single prescribed fire. Does a prescribed fire kill the trees? Very few mature trees are killed during prescribed fires. Those that succumb to fires are usually diseased, injured, or closely spaced with other trees resulting in localized areas with high fuel loads and relatively hotter fires. The loss of mature trees during prescribed fires provides habitat for a wide variety of animals and opens the tree canopy to allow grasses and other native plants to grow. Trees with special significance or high resource value can be protected or excluded from the prescribed fire. Most animals are able to escape from an area that is being burned by flying, running, or burrowing underground. On rare occasions, animals with limited mobility may be directly affected by the fire. Consequently, prescribed fires are scheduled during seasons when sensitive wildlife species will not be affected and only limited portions of the property are ignited each year. It is important to note that the improved habitat conditions resulting from a prescribed fire greatly enhance wildlife populations including those that may have been negatively affected by the fire. What can TPWD do to help private landowners with regards to prescribed fire? Through TPWD’s Technical Guidance program, landowners have access to trained TPWD staff to assist in all phases (planning, education, implementation, coordination, pre and post fire evaluation) of a prescribed fire at no charge to the individual. Additionally, in cooperation with some of our partners (Texas A&M Forest Service, Natural Resources Conservation Service, Texas A&M Extension Service) we hold workshops, demonstrations, and tours across the state. The goal of this program is to empower landowners, raise awareness, and demonstrate appropriate techniques. 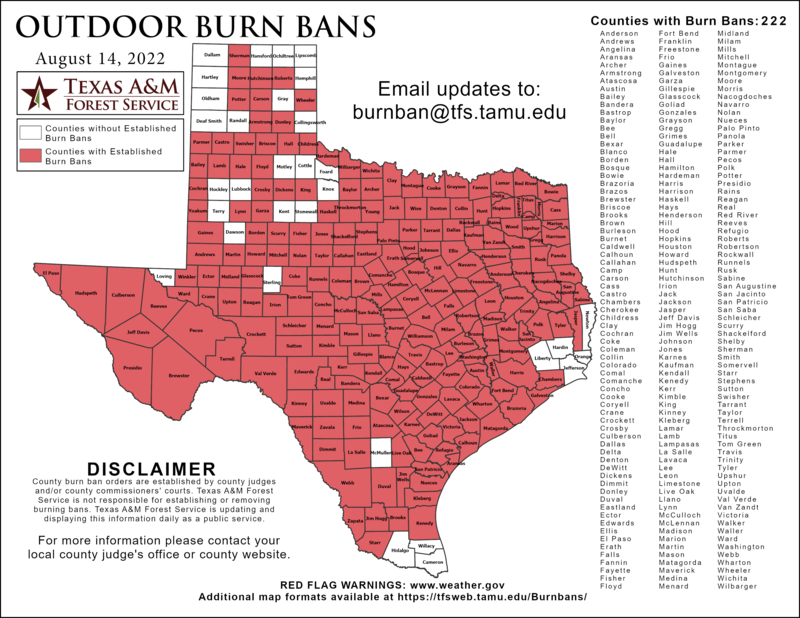 Keep in mind that TPWD does not provide a service and TPWD will not provide a crew to show up and independently burn private property. 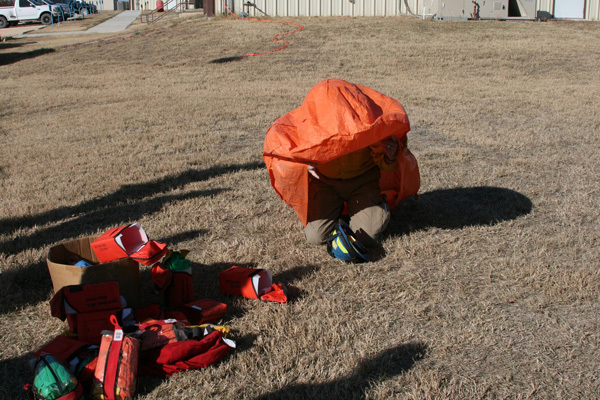 Qualified TPWD staff can, however, educate a landowner and his/her burn team (neighbors, friends & family, local VFD, burn association members) during a live-fire demonstration on private property. Numerous private contractors exist throughout the state that can provide a turn-key burning service available to landowners. Ours is an educational process involving a high level of participation and cooperation by all parties involved. 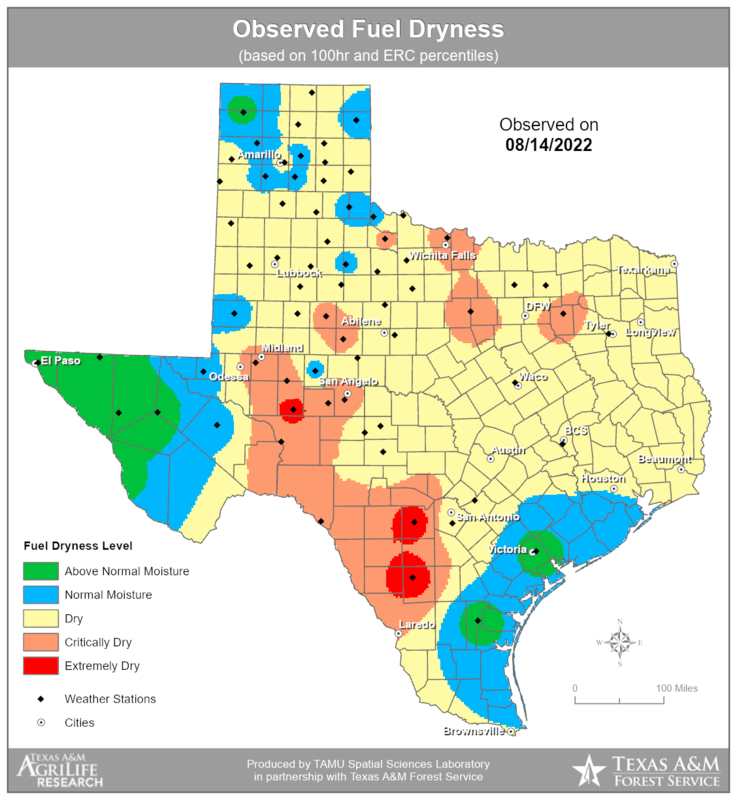 Contact a TPWD Technical Guidance Biologists for more information.